Aukey produces a ton of accessories, but the company is perhaps best known for its various USB wall chargers. For today only, you can get six of the company's wall adapters, a pair of wireless earbuds, a dash cam, and more for 30-45% off. 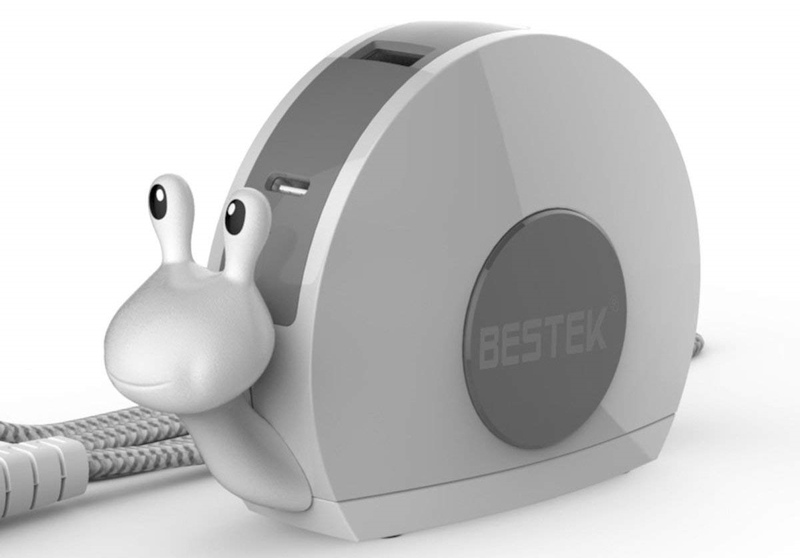 There is no doubt that this BESTEK Snail USB Charger is absolutely adorable, but it is also very beneficial. So if you require a few more accessible USB ports on your work desk or out in the field with your laptop but aren't thrilled with the usual boring designs available in most stores, then I have a feeling this Snail USB Charger might be precisely what you have been looking for. This is why I'm excited to announce that AP and BESTEK have teamed up to give away 40 of them, and there is even a 40% off coupon available in the text below for every single one of you who would like to purchase one outright. I reviewed Aukey's lineup of chargers a couple months ago and overall, I liked them. They are solid, affordable, and work well. My only qualm with them was that they were not capable of rapid charging my Nexus 6P. Well, Aukey has some new chargers out now that solve that issue. They sent me three to check out and I'm happy to report that they work great with QC devices and the new crop of Nexus phones alike. All three chargers sport one USB Type-C port that is compatible with Nexus phones and QC 3.0 devices, the other ports are 2.4A adaptive ports that will work just fine to juice up your other gear. 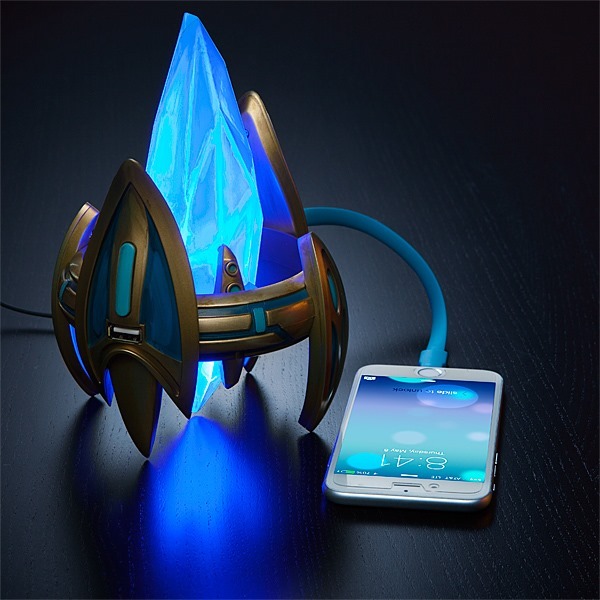 I'm not even a particularly big Starcraft fan, but I kind of really really want this light-up Protoss pylon USB charger a lot. It has all the key features of an excellent novelty USB charger: pretty lights and a reference I get. And Protoss pylons are just kind of cool looking. The only image does appear to maybe be a render - or at the least, a generously edited photo - so buyer beware on the actual quality of the product here, because it doesn't have any reviews yet. Also, at $40, that's one hell of a pricey dual-port charger, and only one of those ports is 2.1A, the other is rated at 1A. 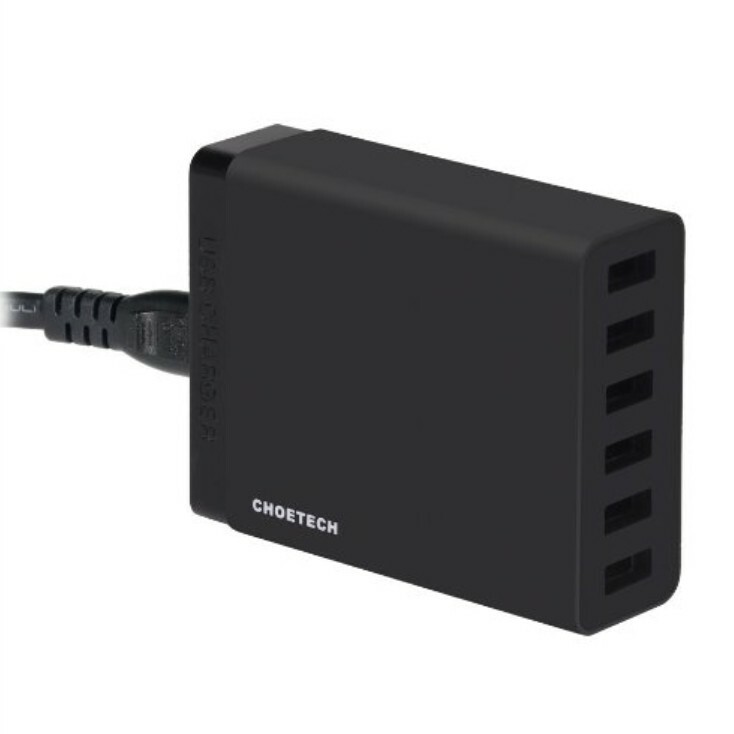 Multi-port USB wall charging stations are my favorite new gadgets that I have purchased in the past year. Instead of having to charge devices throughout the house with individual chargers and a tangled nest of cords, I can now charge everything on my kitchen counter, or at my bedside. Beautiful. We frequently post deals for five port chargers, but they almost never come with MicroUSB cables, leaving you to scrounge up your own, or make another purchase. Today's deal, however, is the complete package. 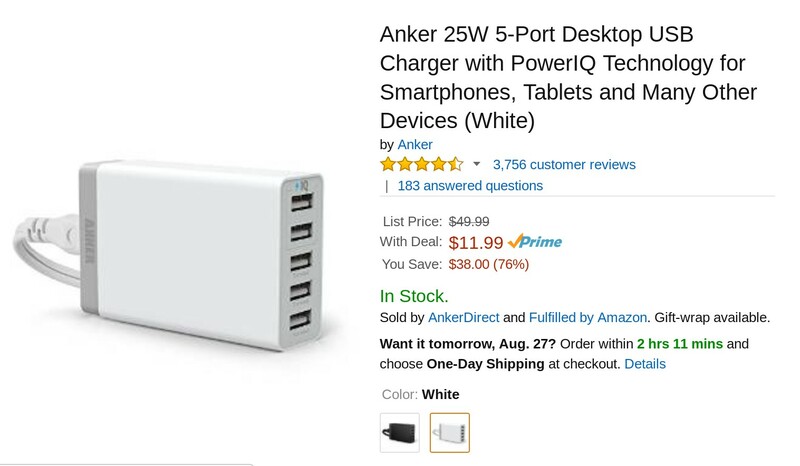 Right now on Amazon, if you purchase an Aukey 5 port 50W/10A charger and a five pack of Auckey 20AWG MicroUSB cables in the same transaction, the cables are included for free – a $9 savings. 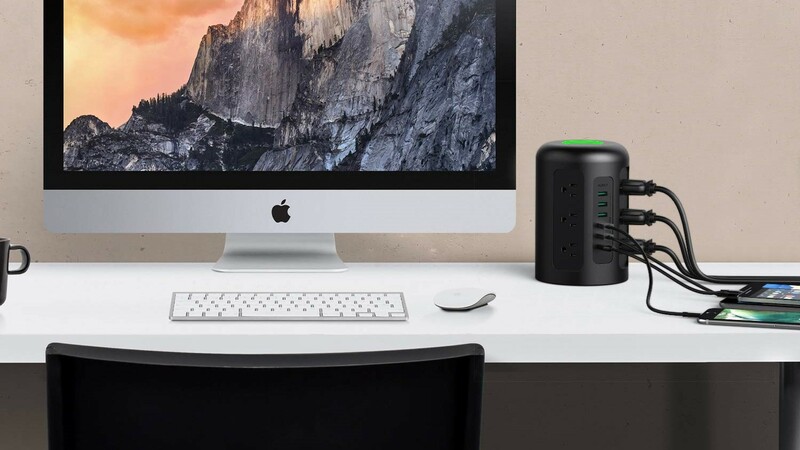 The Anker 5-port USB charger is a way to take that cluster of chargers that's turning the power strip behind your sofa into a fire hazard and consolidate it down into something manageable. With enough ports to charge five devices at once, you're also freeing up much-needed power outlets. Last year this hub was available for $16 on Amazon if you used a coupon code that dropped the price down from $20. Those of you who meander over to the device's page today may find that it's gone down a bit since then. That's right, now it's only $12. And no, you don't need to fumble with any promotional codes. The previous coupon expired, but this new one is going to work just as well: EM8FB3KM. If you're a regular person, you might have a single phone that you can easily charge through the USB port on the side of your laptop. Maybe you have a tablet that just so happened to die at around the same time. You don't feel like getting up, so you plug it into your other USB port, and that is that. But if Android devices mean a bit more to you. You read the blogs. You write for blogs. You develop apps. Ah, the great outdoors. With summer in full swing here in America, many of you are probably taking part in one of our nation's great pastimes, camping. Some of you may be purists who believe that camping is a great opportunity to leave the hectic world behind, including your phone, tablet, and other gadgets. 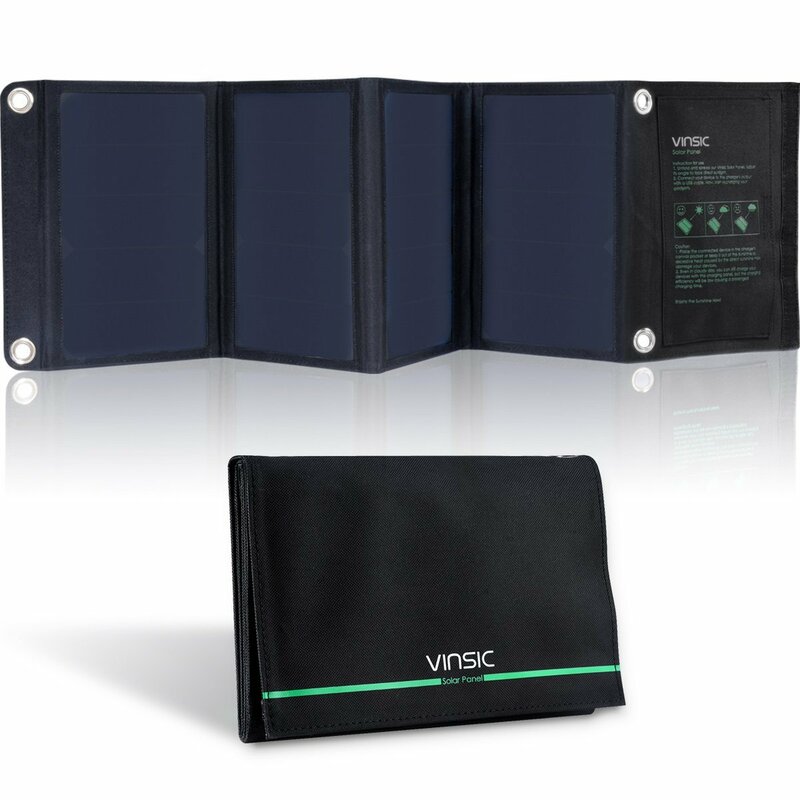 The other 99 percent of you have a hard time deciding whether to bring two more bags of beef jerky or an extra 10,000 mAh battery in your backpack. For those of you who like your camping with a side of tech, we have a good deal for you today. 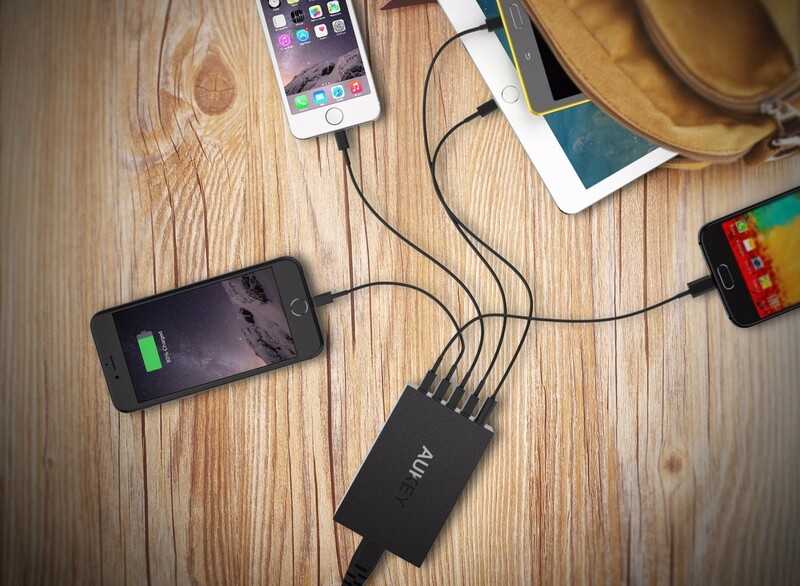 Do you have as many gadgets as you have fingers and struggle to charge them all at once? Well then, this is the deal you have been waiting for. 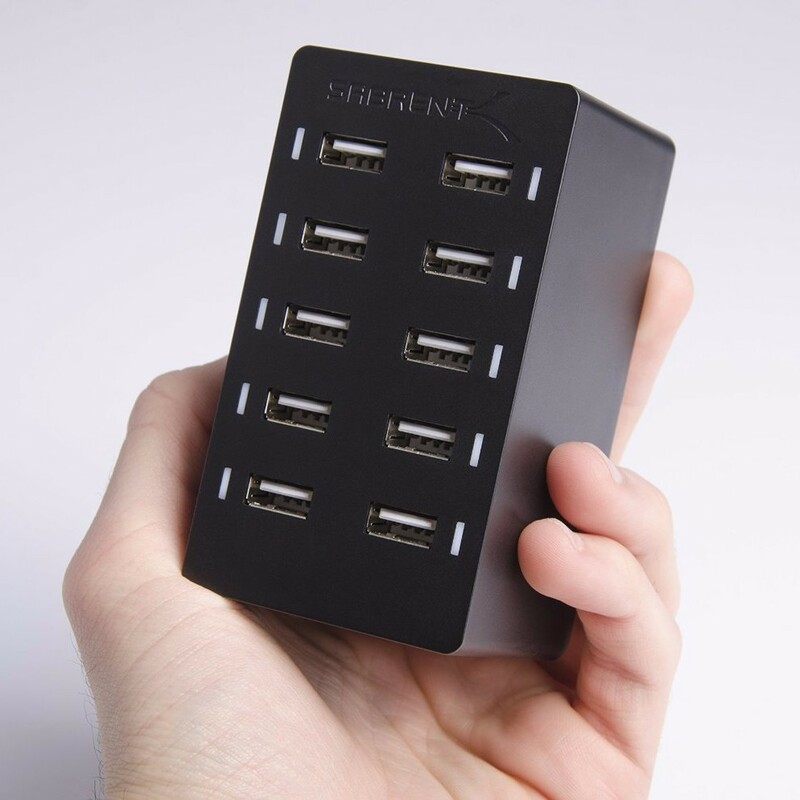 Amazon has a pretty sweet promotion going on for the Sabrent 10-Port USB Charger. If you purchase one today for $25 you will also get a six pack of highly rated Micro-USB cables thrown in for free. That's a savings of about 10 bucks. The pack of cables includes 3 x 1' cables and 3 x 3' cables. It kinda blows my mind that you still will need four more cables to max out this charger! There are so many gadgets nowadays that charge via USB that having a separate AC outlet dedicated to each one can be difficult, if not impossible. A multi-port hub can definitely solve this problem, though. Personally, I have a 5-port charger on my living room table where I have my G Watch's charging connector, a microUSB cord for my phones, and the cable to charge the heart rate strap I use during workouts all in one place. 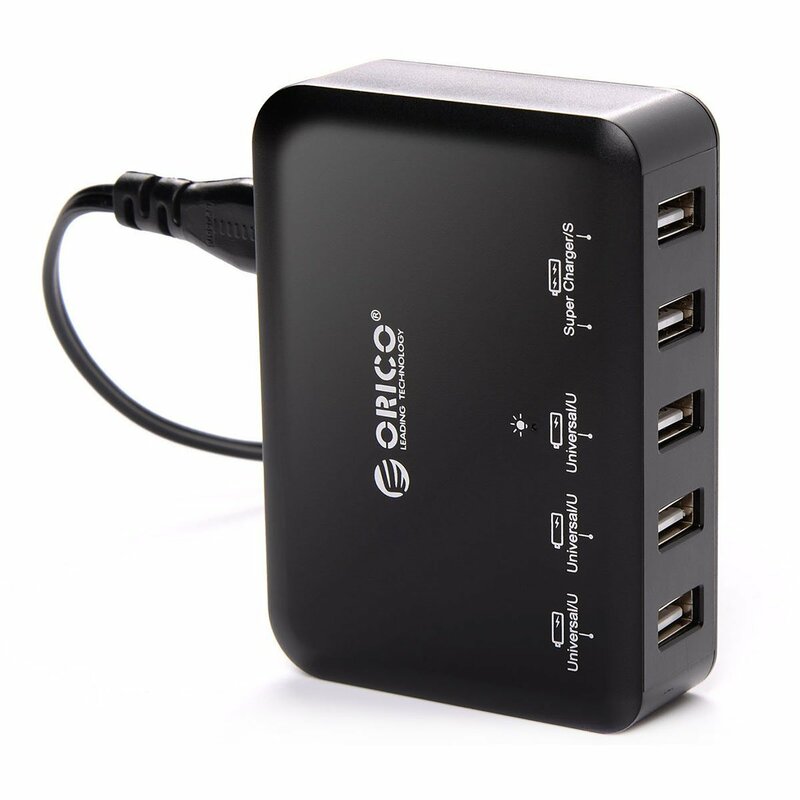 This deal on an ORICO 5-port hub for $10.99 might be just the reason you need to streamline your charging game. As you can see in the image above, there are two "super charger" ports and three "universal." 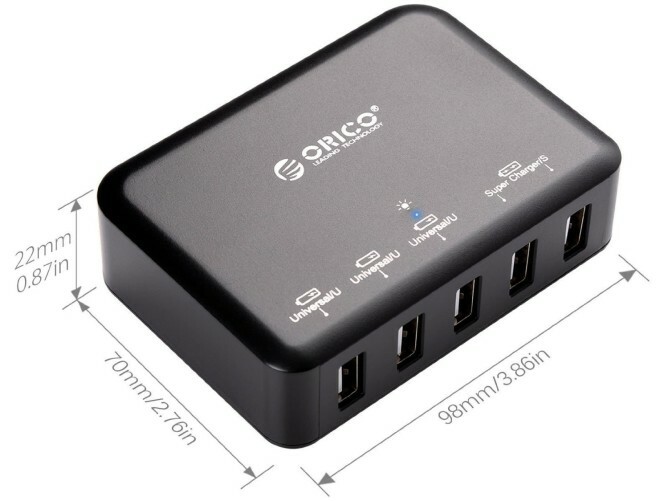 This is ORICO's way saying that the two "super" ports support 2.4A output while the others are limited to 1A.